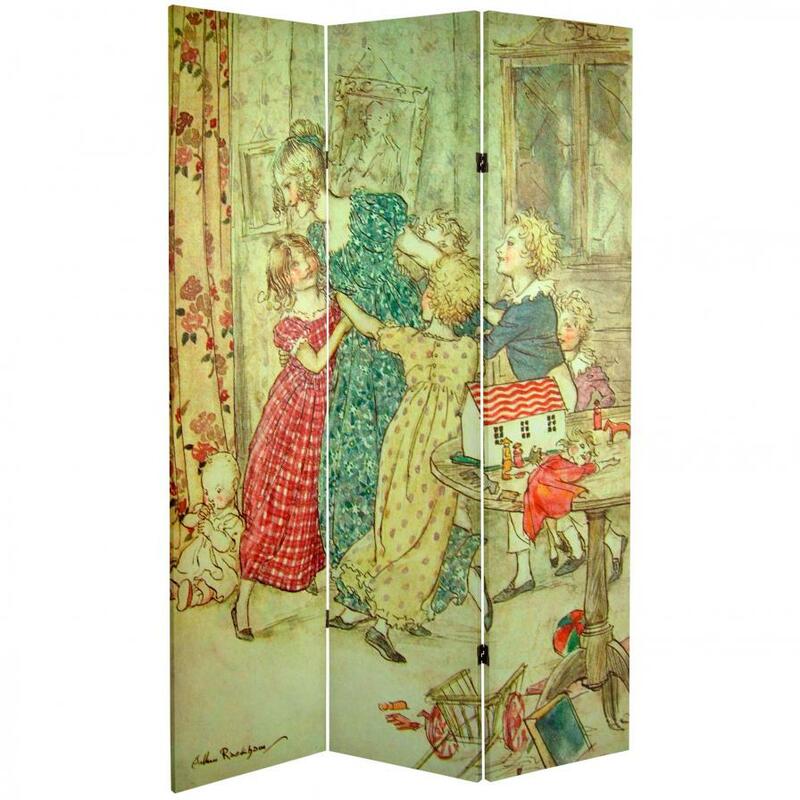 Children's storybook scenes come to life on the panels of this double-sided room divider. The front is a cheerful sketch by Arthur Rackham entitled A Flushed and Boisterous Group, circa 1915. It depicts Ebenezer Scrooge reliving joyous childhood memories from the Charles Dickens classic "A Christmas Carol". 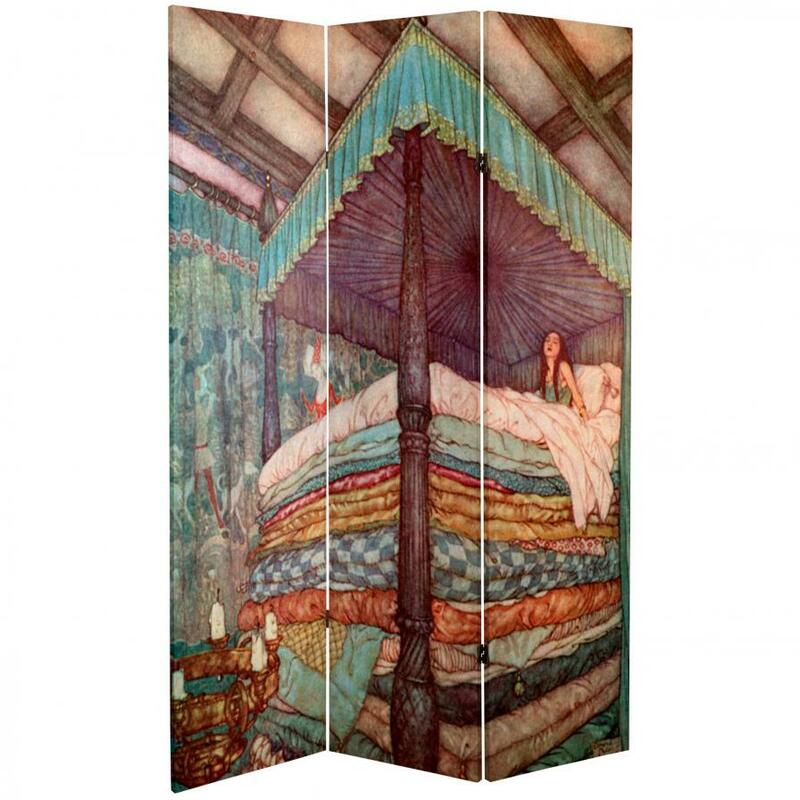 On the back is a mattress-eye-view illustration by Edmund Dulac of the princess from Hans Christian Andersen's timeless tale, "The Princess the Pea". These warm, stylized scenes from familiar stories will make the perfect addition to your living room, bedroom, or playroom. This three panel screen has different images on each side, as shown.